All our guides speak English. 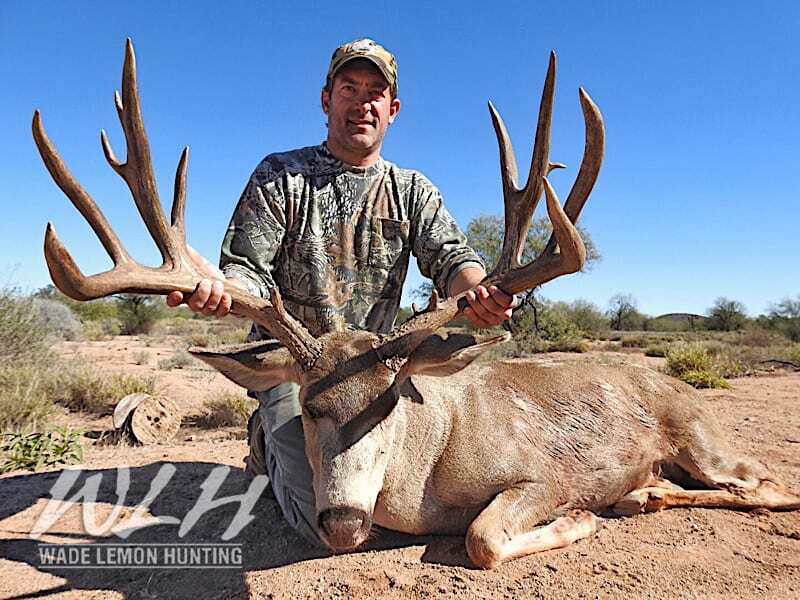 They are Muley freaks who live and breathe for hunting giant mule deer. We manage are areas for quality and age class. All of our Ranches are located in the best genetic regions in Sonora Mexico. 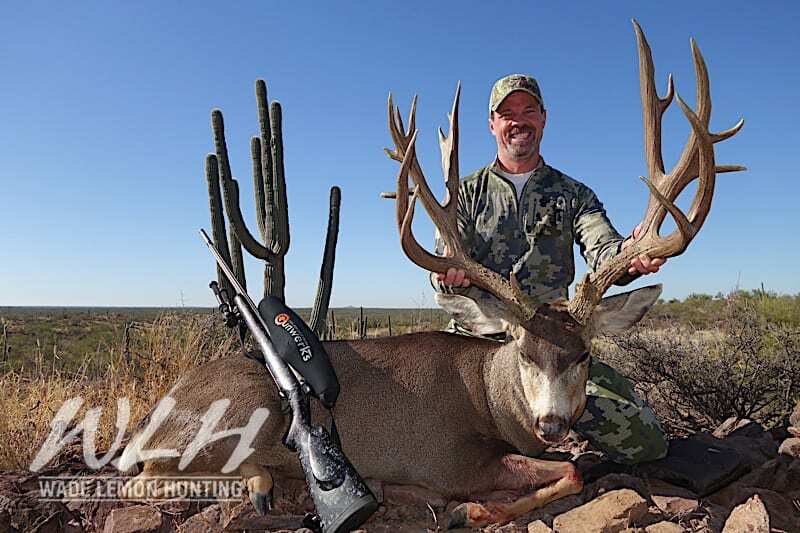 We hunt on over one million exclusive acres. Many of our Ranches have high points were we can effectively glass. 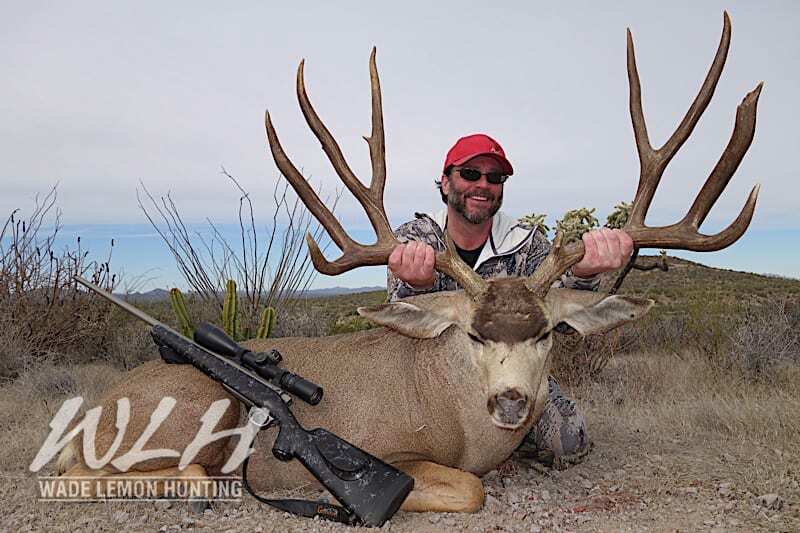 Our hunting methods are the traditional high rack, glassing hills, and spot and stock. 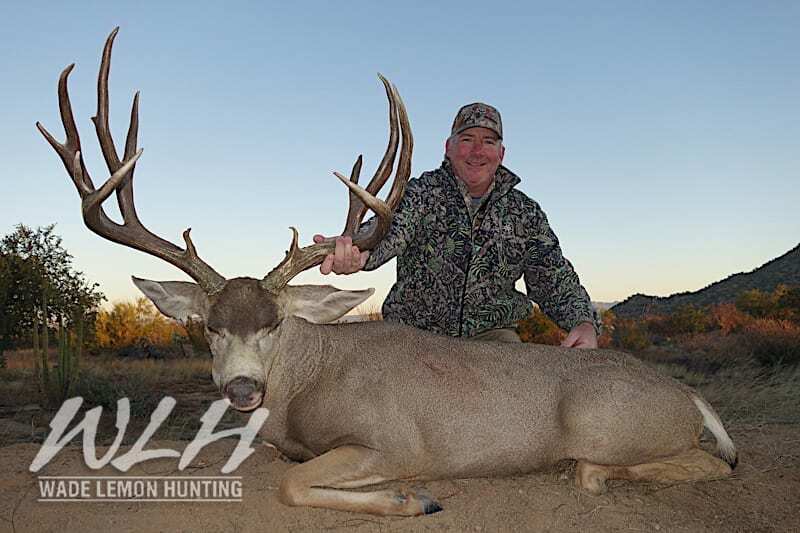 We maintain our habitat to sustain the deer year round as well as attract big roaming bucks during the rut. 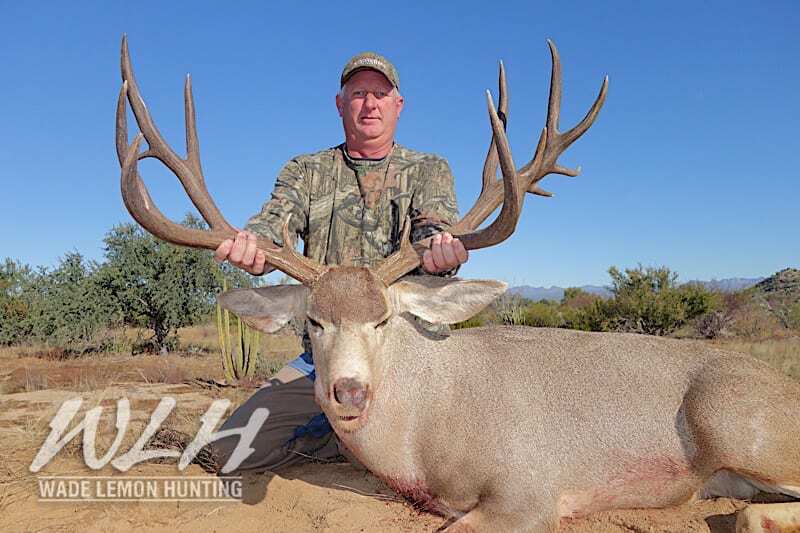 We have year round water troughs, feeders, and even irrigated food plots to keep our animals on our ranches and to make sure that even in drought years our bucks can achieve their maximum horn growth. 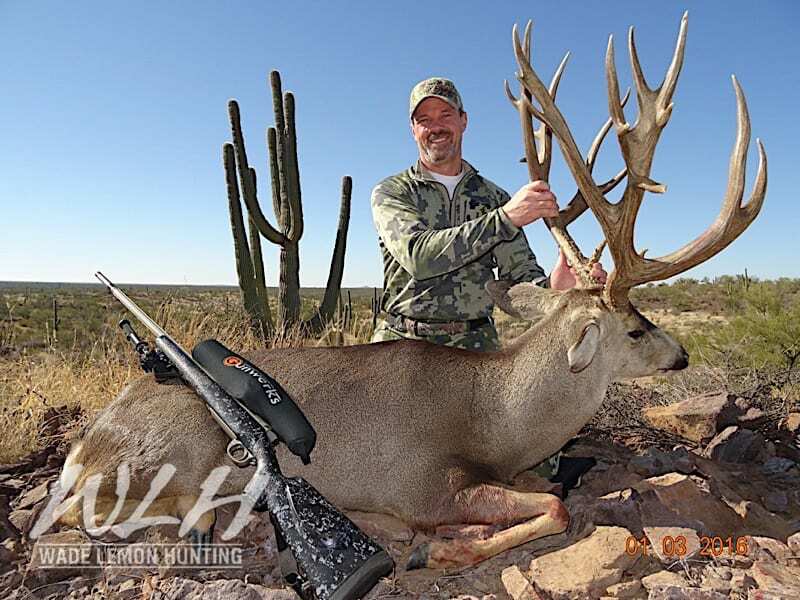 It is not uncommon for us to see over 20 bucks a day on many of our areas. 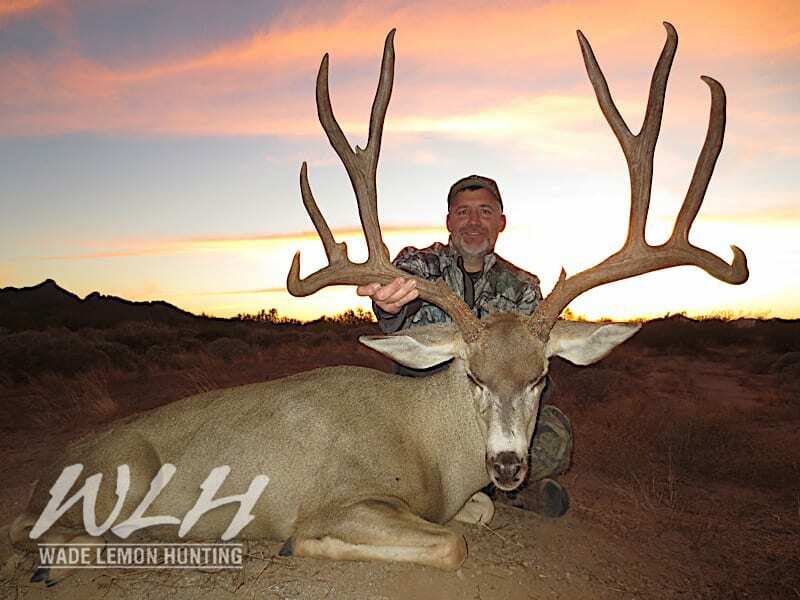 We strive to harvest bucks 5 years or older. 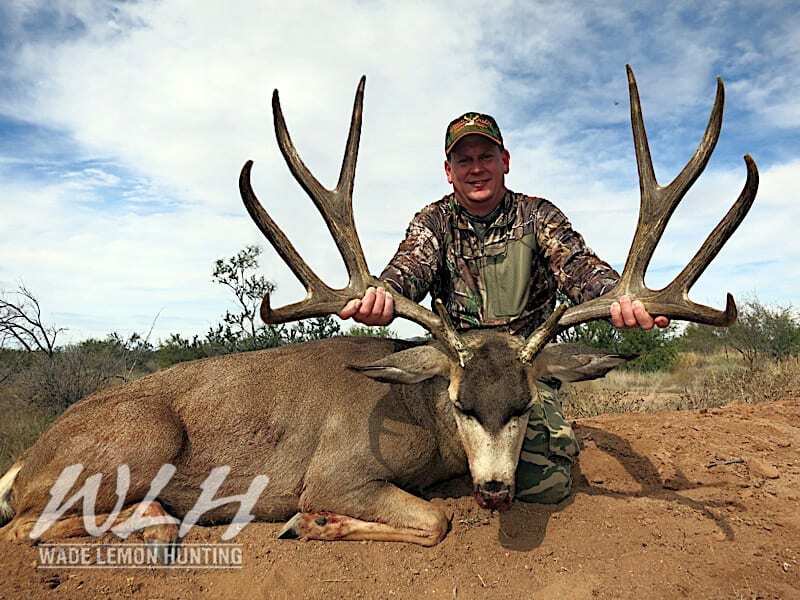 Most of our bucks score 180’+ or are over 30” wide. Many score over the 200” mark. 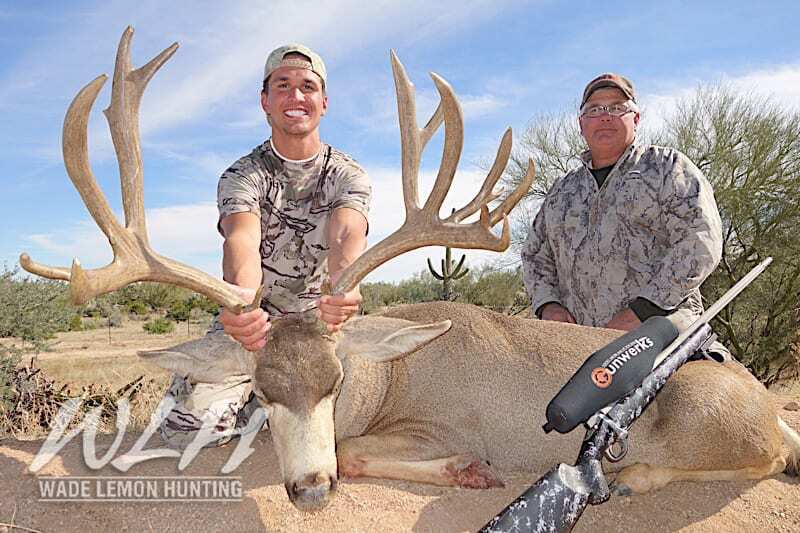 We age the teeth from all of our bucks each year to ensure that we are taking only mature animals. 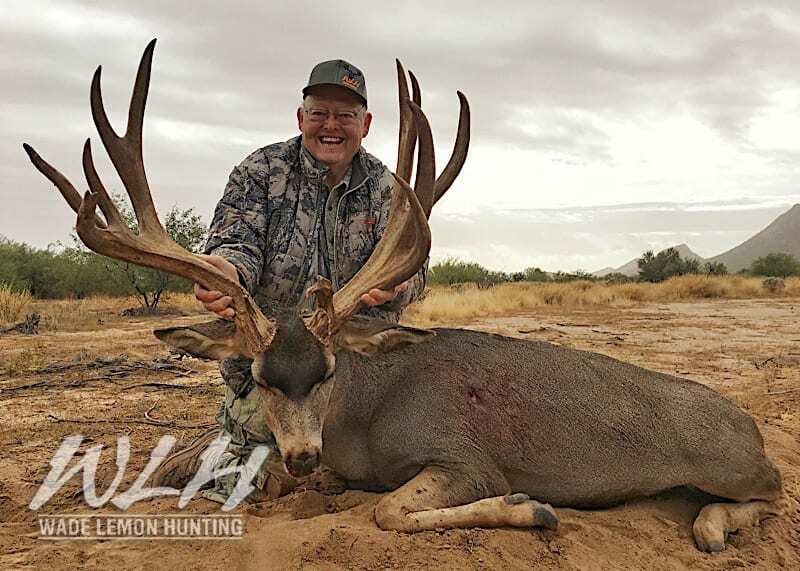 In both 2016/2017, and 2017/2018 seasons WLH Sonora harvested the highest scoring, Free Range Bucks in Sonora. 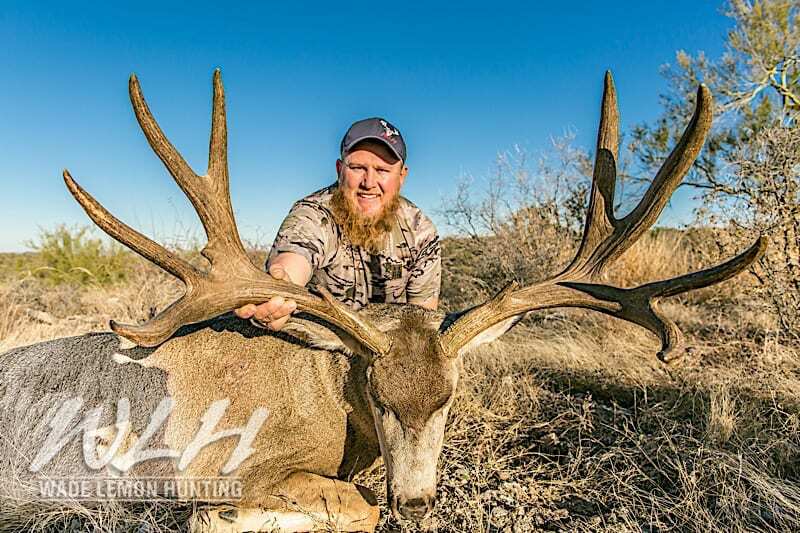 2016 we took a 221″ framed 264” gross giant. 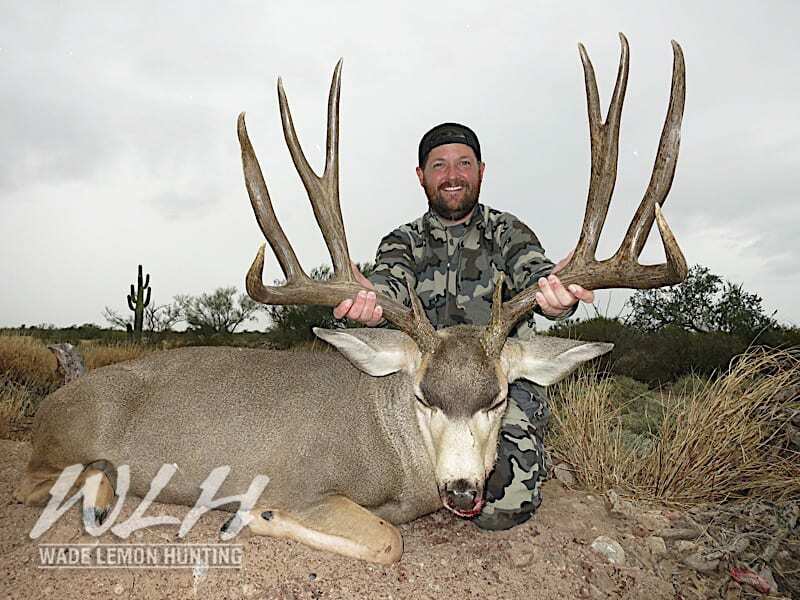 This is one of the largest mule deer ever taken in old Mexico, and is without a doubt the largest taken in the past 30+ years. 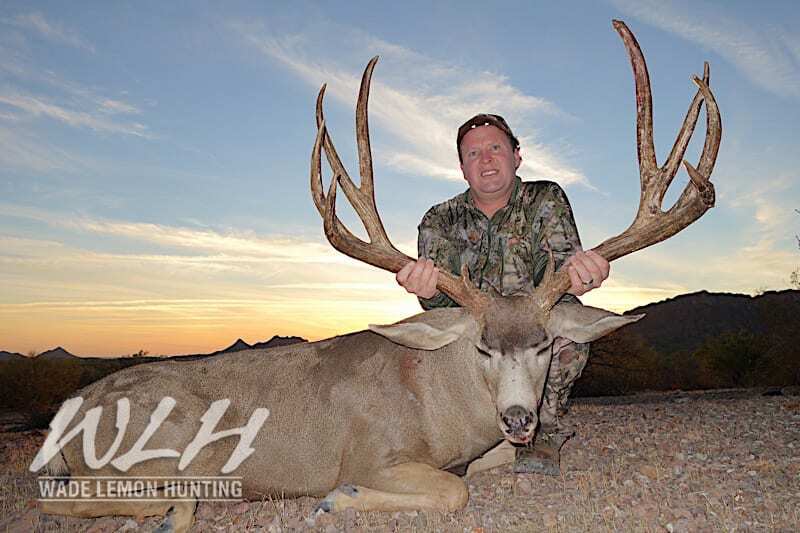 In 2017 we took a 216” framed 230” buck helping WLH Sonora to have back to back taken the largest Bucks in all of Mexico. 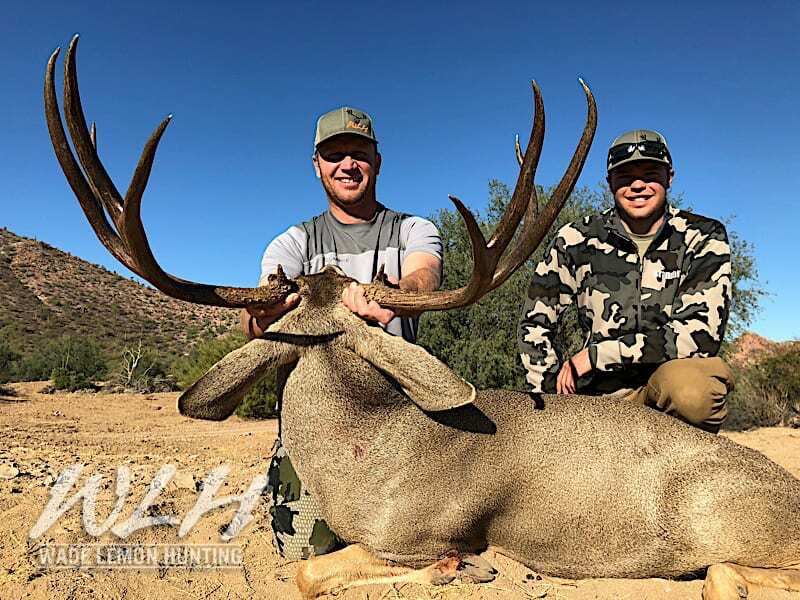 We have areas and options for you to combine your Desert Mule Deer Hunt with our Mexico Desert Bighorn Sheep, a Dove Shoot, or a Trophy Coues Whitetail hunt. 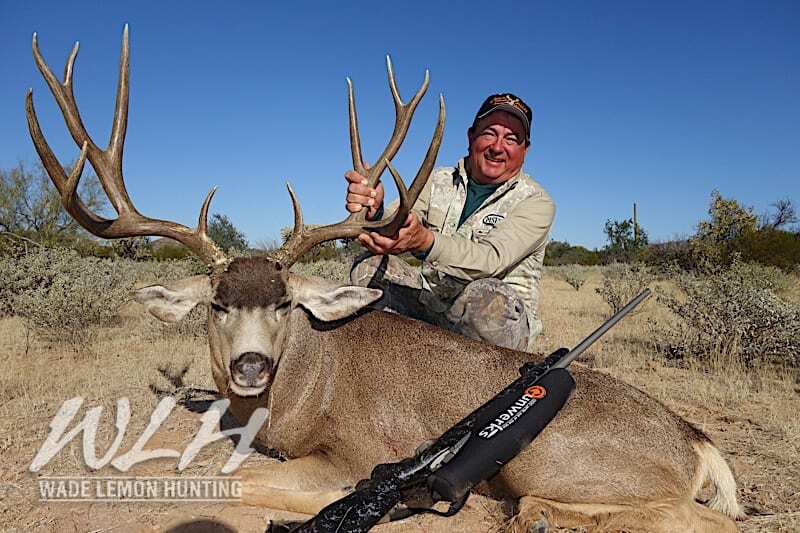 Our hunts are all inclusive including transportation to and from the airport as well as gun permits, trophy preparation, food, drinks etc. Every camp has a first class chef and servers. We have very clean and modern lodging, a friendly and helpful camp staff and the best guides in the industry. 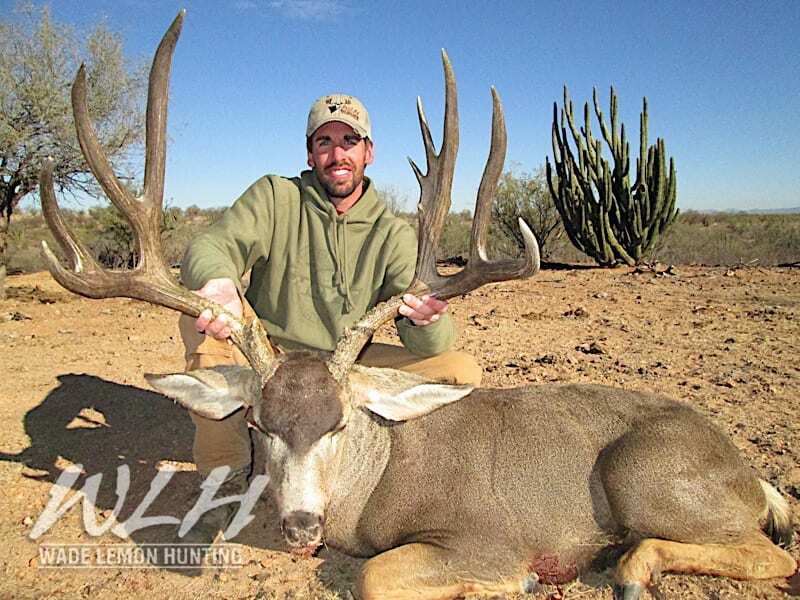 Wade Lemon Hunting Sonora is considered to be one of the finest hunting operations in all of Mexico.